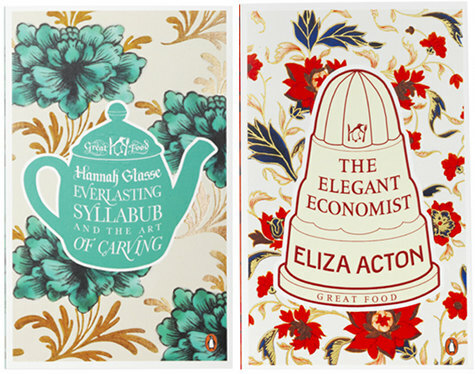 I'm willing to admit that I'm shallowly drawn to books with great covers. Like food that looks disgusting but is actually delicious (peanut butter, guacamole, pistachios), I will concede that for some of the best books it is the inside that counts. 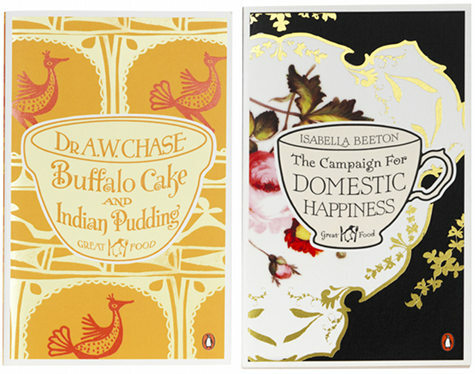 Coralie Bickford-Smith has been known to craft a gorgeous redesign of classic novels. Her new collection,'Great Food', will be available this month. 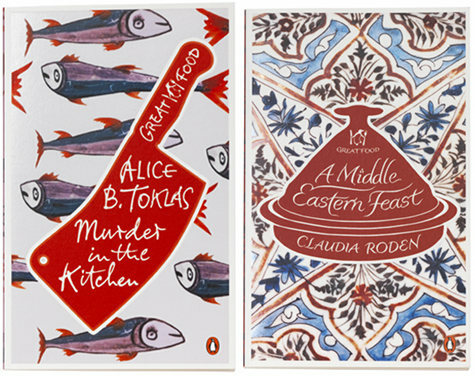 Not only are they all food books, but the covers are based on historically accurate ceramic designs from the book's time period. Now have I heard of "Buffalo Cake and Indian Pudding"? Nope. Will I consider reading it after seeing the redesign? Yes. I'll also be in search of any ceramics with the above pink and yellow bird design. If you're looking for a special graduation gift for a fellow foodie, 'Great Food' would be the perfect shelf decor and reading material for their new place. What's your favorite knock out cover?